The “Colombo Plan” is one of those economic plans that made Australia strong and more developed. The plan was implemented by the former Prime Minister Robert Menzie, and for that, he was widely praised by the present prime minister of Australia Tony Abbott. Today, the economic plan of the nation is on trial and most of the crackerjacks in the field of economy point their finger at the plan by saying that it as an overrated program of the time. Although the plan brought more than $32 billion educational success stories, they indicate the factor that global education in Australia lure students from the northern Pacific region and eventually, they (the students) wish to layoff in Australia even after the completion of their student life. Experts find out it being one of the most vital setbacks under the colossus cap of the exaggerated financial plan. They dig out deep and drag out the statistical reports that say Australian government is able to offer more than 130,000 full-time jobs to the valued scholar in Australia, and according to the database, it widens the Australian economy that has already placed the overall economic value of international education at $19.7bn. 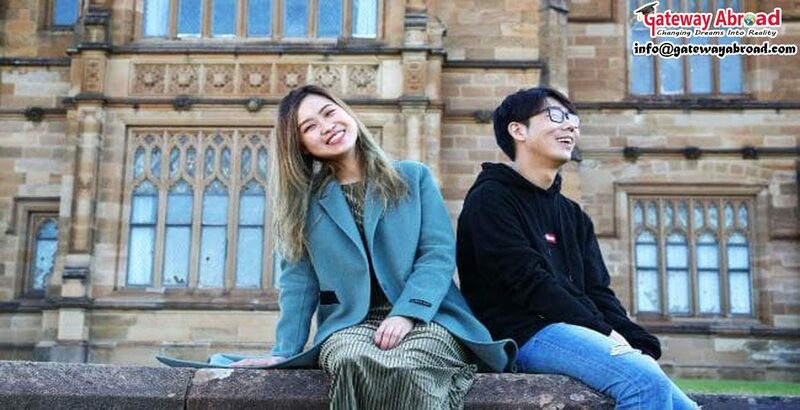 The trailblazers want to set up a new fact that accuses the international students directly by saying that they apply for the higher education in Australia just to be an immigrant of the nation as the place has already been discovered as a huge destination for bright professional future. As a result, they showcase the stats of north Queensland where 18,700 people are engaged in the tourism business which is approx. 20% of the entire population. And they stick to the fact that frequent immigration increases the digits of travel and tourism business. These were the brief of the assertion on the Australian eco-education system and its achievement that are being displayed. Well, it is a demi-true fact. To cut the allegation of the increasing rate of the travelling business the relevant fact is- millions of people are coming to visit their children who are studying in any of the Australian universities. According to data in 2018, more than half of the international students are spread over corporate Australia. Therefore, it is said that there is the waft of well-paid jobs and safe placement residency. In spite of some employment hunger, thousands of eager beavers are there who return to serve their own country, and the development of the north-pacific countries are the burning example. On the other hand, many are there who get a high-salary job in the Australian corporate banks, IT-based companies. Well, they get their position on their own capability and the Australian government also needs them. No matter what the foreign students are getting jobs in Australian or not, the post fill up by global students who have passed out from Australian universities and the growing tourism business that manages the increasing crowd of parents and guardians prove the betterment and step forwardness of Australian education system that no doubt enhance its position. A review of a posted news in a popular daily named The Australian. The news was posted on 1st Aug 2018, under the name- “Don’t kill this colossus of foreign visitors with a cap“.